Acer laptops with the new fifth generation Intel Core processors are now available in Malaysia. 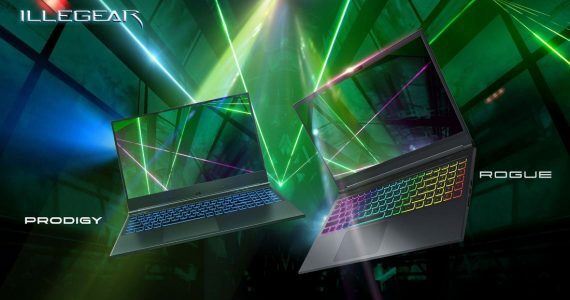 The new Acer Aspire E5, V3, and R14 laptops all feature the Broadwell Intel Core i5 processors, and have been spotted at the Malaysia IT Fair that is happening until Sunday. The 15.6-inch Aspire E5-571G features the Intel Core i5-5200U processor, 4GB RAM, a 1TB Sata HDD, and an NVIDIA GT840 2GB GPU. While it’s counterpart, the 14-inch Aspire E5-471G downgrades the GPU to a NVIDIA GT820 with 2GB VRAM. The smaller 13.3-inch Aspire V will also be carrying the fifth generation Intel Core i5-5200U, with 4GB RAM, a 500GB/8GB SSHD, and Intel HD Graphics 5500. While it doesn’t have a discrete GPU, it still packs a 1920 x 1080 Full HD display similar to the E5 series. 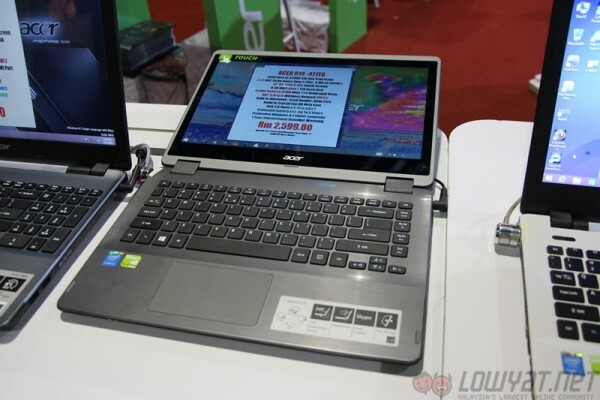 Finally, the Yoga-like Acer R14 has also appeared with a new Broadwell processor. It is the same Intel Core i5-5200U as the other models, although this time fitted to a 14-inch form factor with a 1366 x 768 resolution touch screen. It also packs 8GB RAM, 1 TB HDD, and an NVIDIA GeForce 820M with 2GB VRAM. 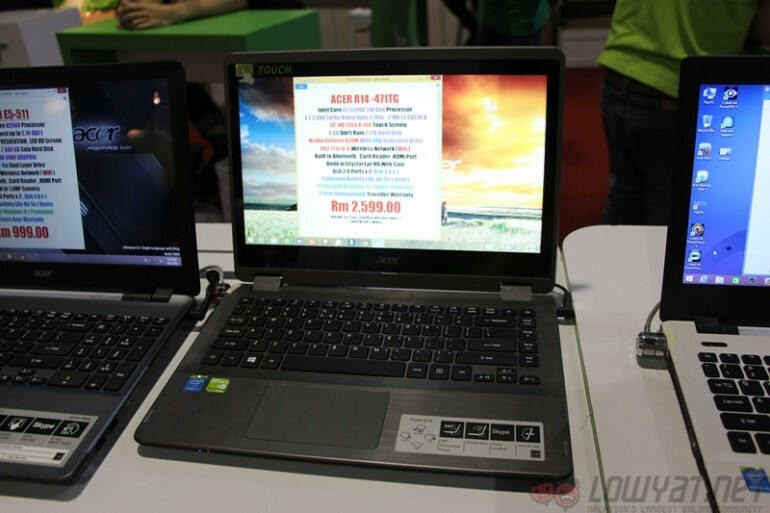 The Acer Aspire E5-571G retails for RM2099, while the E5-471G is slightly cheaper at RM1999. 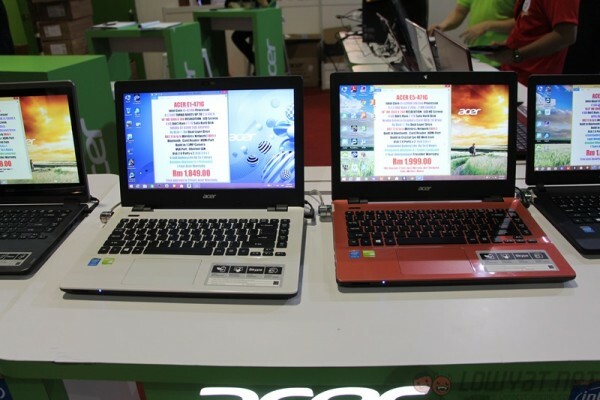 The Acer Aspire V with fifth generation Intel processor is being sold for RM1999, and the Acer R14 is being sold for RM2599. 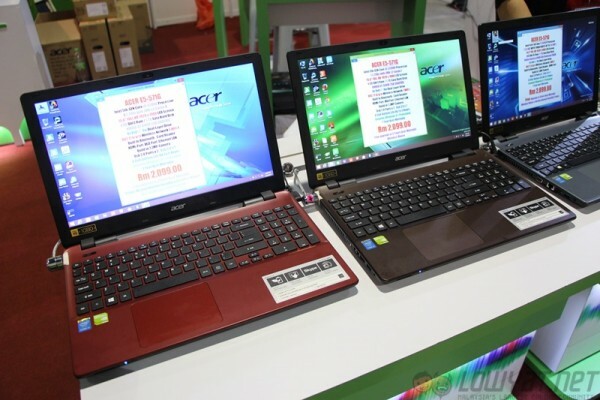 All of these Acer laptops can be found at the Acer booth at the Malaysia IT Fair going on in Midvalley this weekend. They can also be found at the D-Fusion store on the ground floor in Digital Mall.